I had a previous blog on Blogger. In fact, I had 3 blogs over there. If you’d like to see them, they’re still there. I just felt that WordPress was going to offer me a nicer, easier to customize, prettier blog layout. 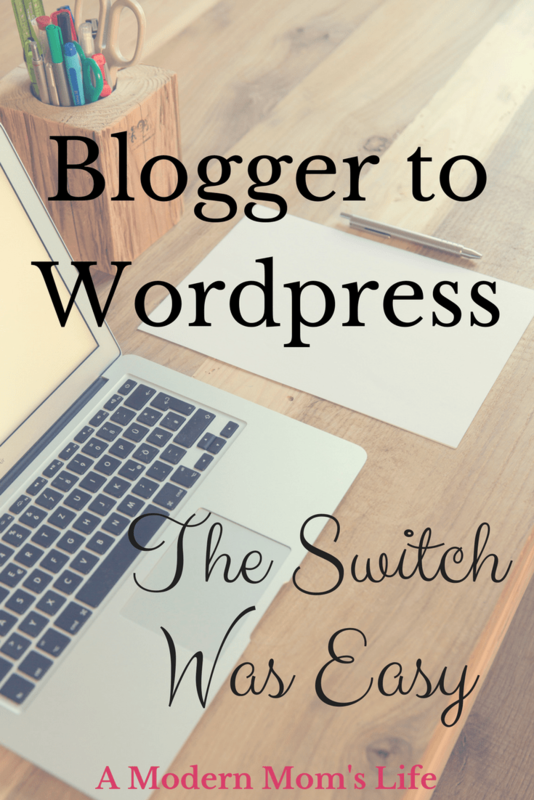 I was right – it was definitely the right decision to switch from Blogger to WordPress! I chose not to import my old content from Blogger to WordPress. I did read many articles and threads about how to do it, and it didn’t seem too hard, but I was hoping for a fresh start. There was a slight tags-to-categories issue that I chose not to waste my time on. If I had imported all my older posts it would have created a category for every tag I had on Blogger. I had a zillion* tags there. I didn’t want a zillion* categories here. There was also an option to go into every post I had on Blogger and take the tags out, but again too much work! Using WordPress I’ve been able to streamline into one blog with various categories. I already find this so much better, and I’m only a week into using this WordPress software. I had a short foray into the world of WordPress.com, where I started moving my Blogger posts to, but I quickly realized that the features I was hoping to use were still not available to me. A few web searches later I realized that I wanted to get into the self-hosting side of WP. I was amazingly nervous about trying to launch a new platform. My husband is part of a web hosting business where he already had a page registered in my name. This worked out well when I finally realized that to do what I wanted I needed a self-hosted site. A few emails with the company and Bingo! I was able to download WordPress to my site and I was off and running. There are so many themes to choose from once you get into WordPress. A bit overwhelming, that was. I started with one I thought I liked, but then ended up changing again partway through my design process. I’m still fine-tuning and tweaking my site every time I get on here. I’ve discovered it is very user-friendly overall. Also there are tons of sites and forums where questions are answered, and usually very clearly! Some days I think I’d like to design WP sites for others, but I don’t have nearly enough experience yet. The act of getting the sites up and looking great is very rewarding for me! Please share your experiences with Blogger or WordPress (or any switches between the two) in my comments; and if you have any fun, useful plugins that make your blogging life easier, I’d love to hear about them too. I’m so happy with my decision to switch from Blogger to WordPress! *zillion is a creative exaggeration of my tag totals. Hi Jessica, just curious if the whole switch to self hosting was a steep learning curve. I’m currently with wordpress.com, but eventually plan to switch to .org. I have some experience hosting my own sites in the past, but don’t want to get caught up with too much site maintenance. Thanks! While I didn’t get far into WP.com before I chose to move over, I didn’t think it was too tough. It did take me some time, partly because I was learning about all aspects of WordPress, having come from Blogger. One evening (6-10pm) and then most of the next day (8-3) I worked on it and it got it up and going, and put a bit of content on so people had something to look at. I did stumble over many sites about moving from .com to .org. The site hosting itself is not a worry for me, as my husband’s company does that for me and if I have any questions I just ask him! The stumbling block there is that I’m not as high on their “need to do right away” list as some of their other clients! But once they got me my password, getting WordPress started up was only a matter of downloading it. Then it’s all in the dashboard as you’d see in .com, only with options for plugins and other bits that aren’t offered in .com. Hope this helps, and thanks for reading! 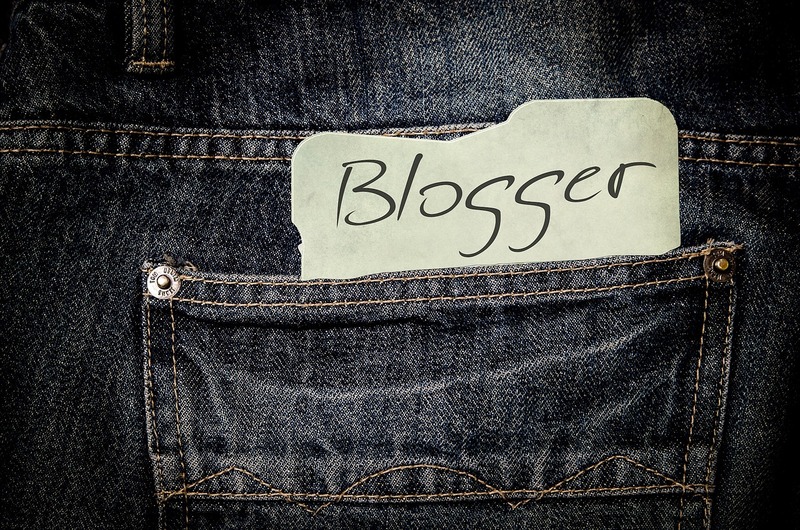 Love to read from what you did recently with your blogging career – moving from blogger to WP. I rather had an unpleasant experience with self hosted WP blog when I started. Soon after I had developed the first blog (mysite-hosting.com), it developed multiple error reports which I tried to contact Bluehost helpdesk but failed to get them resolved. This resulted to my blog being de-indexed from google SE. As if that wasn’t enough, Bluehost deactivated Quick Install script that could enable me install WP on other web space I had created for other domains I wanted to work on. I was advised to use manual installation which is rigorous. I tried to do one but couldn’t continue on others. Quick and simple methods saves time. Being unsatisfied with these issues I made up my mind to switch over to blogger just last month. And the site is doing well, although the former site is still there. Great advice. Must admit I love wordpress! It’s user friendly. My host is BLUHOST? Any thoughts on them? I don’t have any experience with other hosting companies. The previous commenter seemed to have an issue with them, but I think a lot of people are with Bluehost. If you have specific questions, you can run them by me. Not sure if I can help, but I’ll try! Thank you! I definitely made the right choice for me in my blog life! Blogger was fine but there were just a few things wanted to add to my blog (and have control over) that it seemed like WordPress could do for me. And it has. Thanks for the comment! Thanks for visiting. I’m glad to hear you had a relatively easy switch as well. It seems so daunting to go “self-hosted” but it really falls into place.